Ithan Montessori School - Who We Are. 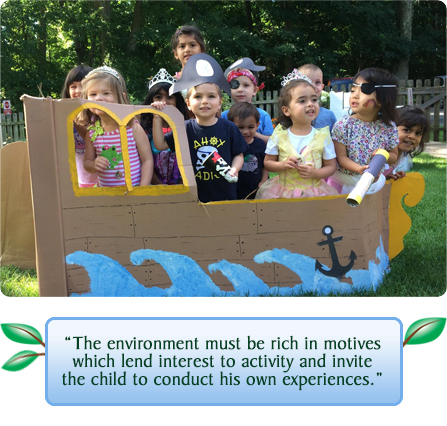 Ithan Montessori, established in 2013, is privately owned and located on the grounds of Christ Church in Villanova, PA. The school's founder, Tracie Costello, has worked in the field of early childhood education for over 15 years. Her experience encompasses traditional child care options as well as providing school age programs in neighboring school districts. Ithan Montessori embraces the Montessori philosophy and curriculum, while offering quality child care for children ages 25 months to 6 years. Yoga, music and French classes complement our core curriculum and are offered weekly. We are licensed by the Department of Public Welfare and in the process of obtaining our Department of Education license with the goal of offering full day private kindergarten. an environment of stability, respect, order and beauty. Ithan Montessori School is an advocate and caretaker of the young child—providing well-rounded educational, cultural and developmental stimuli in a comfortable, cherishing atmosphere. Our mission is to protect and nurture each individual child, teaching respect and care for each other and the environment. Ithan Montessori is an equal opportunity employer and child care provider committed to diversity in our school.